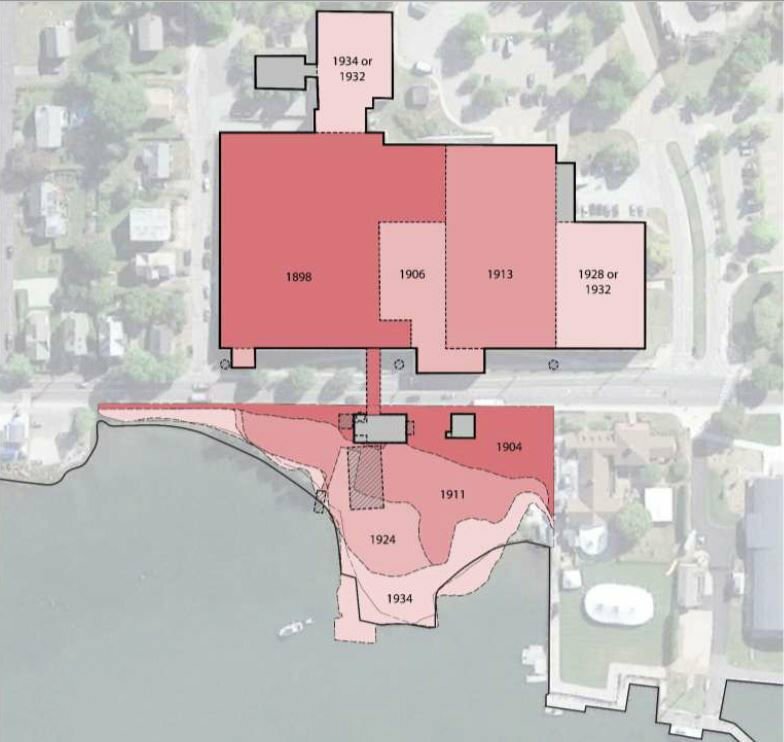 STONINGTON — The town is working with the State Office of Historic Preservation to come up with a solution for two buildings located at the Mystic River Boathouse Park site, which is within a historic district. At Monday’s meeting of the Mystic River Boathouse Implementation Committee, Chad Frost of Kent+Frost Landscape Architecture in Mystic, whose firm is designing the park, and Jason Vincent, director of planning for the town, presented an update of the town’s communications with the state historic office. The presentation also included estimated construction costs and a projected schedule. 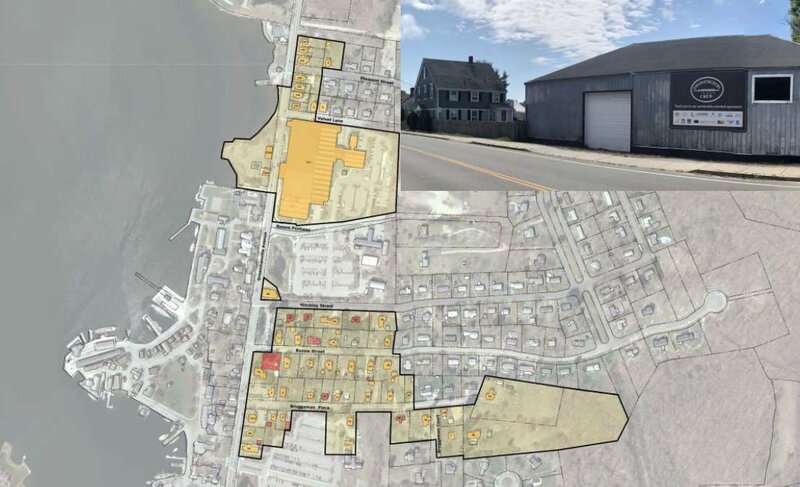 One of the project’s hurdles has been the future of a house and warehouse located on the 1.2-acre spit of land at 123 Greenmanville Ave. Both buildings are classified as “contributing factors” to the historic district but are not designated as historic. In the park’s master plan, which is a vision of how the project could be designed, the buildings have been removed, but the status of the buildings and whether they will remain on the site is under discussion with the state preservation office, Frost said on Wednesday. “We were able to have very good discussions about the desires for the park and historic preservation and agreed to cooperate and work together to come to a mutual solution,” he said. Research showed the house was built around 1903 and half of the warehouse was built in the 1940s and the other half in the 1950s or 1960s. Three other buildings on the site were demolished between about 1905 to 1930, Frost said. The site was created from coal slag from the Rossie Velvet Mill, located across the street, from 1900 to 1934. So far no significant historical connection has been found between the homeowners or occupants and the mill, Frost said. Frost said his goal was to reach a resolution with the state office by early March. “My hope is we’ll have a some sort of resolution as to what’s acceptable to them and to the town so then we can say exactly what we plan to do with the buildings and then move on to the rest of the project,” he said. The presentation also included a preliminary construction cost estimate of $3.23 million — up from an initial estimate of $2.2 million — of which $2.79 million would be eligible for remediation grants. That would leave $440,000 to be paid by the town. In September 2016, voters approved a $2.2 million bond to create the park; the acquisition of the property for $1.67 million was approved in January 2017. The town has $435,000 from the bond remaining and $85,000 in escrow for remediation, totaling $520,000 in available funds. The $2.5 million boathouse proposed for the park is a separate project and will be privately funded through Friends of Stonington Crew, a 501(c)(3) nonprofit organization that has run the Stonington High School crew team since 1997. Partly because of the park’s location on the Mystic River and the discovery of the coal slag, which designates the site as a brownfield, the project may require an estimated 21 permits, Vincent said on Wednesday. Eight would be coastal permits, six would be brownfield permits, and seven relate to site permitting. Vincent said there are always unknowns in every project and many pieces of information are often discovered after a property is purchased. “Every project has contingency because there’s always something you don’t know that you don’t know, but you hope it’s less than your contingency,” he said. He also said the master plan is simply a drawing of how the project could look, based on information gathered from the public. The design will change as more information becomes available, Vincent said. The park committee unanimously accepted Frost and Vincent’s update as “a snapshot in time” of the project, First Selectman Rob Simmons, who chairs the committee, said Tuesday.